There is an old saying that says "Best Things come in small packages"; likewise the higher power has created a chain of 1,192 coral islands that wraps the perfect tropical escape for you. 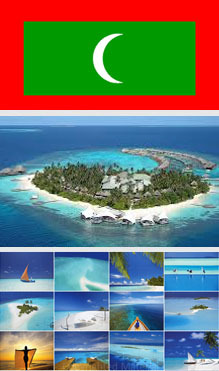 The Republic of Maldives is an ever present Christmas gift for Sun, Sea and Sand enthusiasts. You are able to surf all you want… get tanned all you want… dive and snorkel all you want…while savouring in sea food all you want. While the tropical pleasures engulf you like an emotional avalanche, Maldives also proudly home for several ecosystems, world famous multi hued coral reefs and variety of sea creatures that definitely becomes caffeine to a marine enthusiast. The national museum displays the belongings of former sultans. It was established on the national day of Maldives as the first national museum of the country that opened on November 11, 1952, by the Prime Minister at the time, Mohamed Amin Didi. 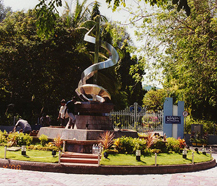 The three-storied museum is located in the Sultan Park in Male, which is part of the site of the Maldivian Royal Palace compand dating back to the 17th century. 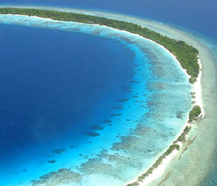 in addition there are quite a few archeological finds, which tell the story of Maldives. Near the museum you'll find Sultan Park, which is the site of the Islamic Centre and the Grand Friday Mosque. The national museum being part of the Sultan Park is a small public garden. This park was formerly part of the southern side of the Royal Palace. The Sultan Park is largely a collection of various tropical flora, and also exhibits some animal life. 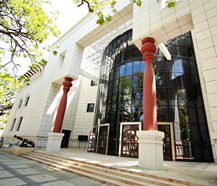 The entrance to the park is guarded by colossal iron gates which are opposite the Islamic Centre on Medhuziyaaraiy Magu. Sultan park offers magnificent view of the landscape. Numerous locals and foreigners visit the Sultan Park since they find the landscape relaxing. The park forms a quiet green oasis in the bustling capital, with ponds covered by water lilies and leafy trees filled with bird songs. 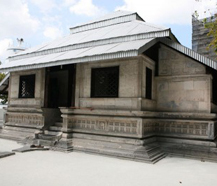 Male' Hukuru Miskiy also known as Male' Friday Mosque is an ancient decorated mosque located in the city of Male. Kaafu Atoll, Maldives. The mosque was originally constructed in 1658 AD under the reign of Sultan Ibrahim Iskandar I over two years time, and was constructed mostly out of coral stone. 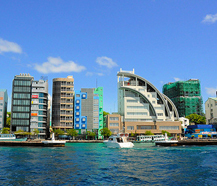 It is one of the oldest mosques in Male, which has more than twenty mosques. It is famous for its captivating stone carvings. A long panel, carved in the 13th century, depicts how Islam was introduced in the Maldives. The interior of the mosque has many precious samples of traditional Maldivian art in the form of wood carving and laquer work in panels and ceilings. 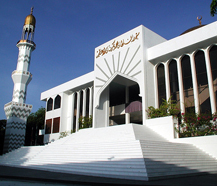 The Islamic Centre is an architectural landmark in Male, Maldives opened in November 1984 by President Maumoon Abdul Gayoom. The mosque is located in the Centre, and is named after one of the most celebrated Maldivian hero Sultan Muhammad Thakurufaanu Al Auzam of the Maldives. The mosque is also the largest in the Maldives, and also one of the largest in South Asia admitting over 5,000 people. The Centre also serves a conference hall where official meetings and ceremonies are held, an Islamic library and a number of offices. 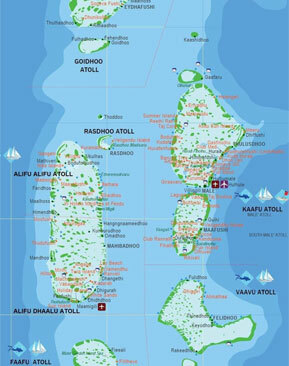 The most important factor for the Maldivian Government is its luscious environment. The chain of islands completely depends on its glorious nature's gifts for country's sustenance, especially the protection of beautiful coral reefs. Thousands of reefs that act as a protective rim around the small peninsulas have become an essential for islands' protection. The survival of the reef is based on its countless inhabitants to feed on them for its regrow process. Therefore protecting the marine lifestyle, protecting the natural beauty of the luscious islands have become one of Maldivian governments top priorities, in order to continue as one of the most enchanted places on earth. 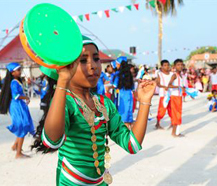 Just as our very own isle, Republic of Maldives is also a nation that has a fusion of many cultures. Many of the early settlers are sea farers who have seeing the exquisiteness of the small islands. With the influence of British and the Islamic religion, the culture and life style of Maldives have been moulded in an attractive mix of the same. Life style is similar to many of the families in the Asian Region where the family unit becomes the most prioritized aspect in their lives. At the break of the dawn, the men of the family go to fish while the women manage all the domestic and community affairs.